Bunjil Place Plaza will liven up Friday lunchtimes with an abundance of Christmas-themed, roving entertainers on Friday 7, 14 and 21 December, 11am – 2pm. Christmas fun will continue after school with weekly festive craft sessions on Wednesday 5, 12 and 19 December for children three years and above. Bunjil Place’s big outdoor screen will be home to Christmas movies, withWhite Christmas, Home Alone and Home Alone 2: Lost in New York. White Christmas Friday 21 December, 6.30pm. Home Alone, Saturday 22 December, 2.30pm. Home Alone 2: Lost in New York, Sunday 23 December, 2.30pm. Christmas Eve will bring a –carols warm-up event hosted by the City of Casey to the Bunjil Place Plaza on Sunday 24 December, 4.30pm just before the the annual community carols event ‘Carols by Twilight Festival’ at the Max Pawsey Reserve. With the festive season just around the corner, Bunjil Place will be bringing Christmas cheer to Melbourne’s south east, with a month full of family-friendly activities and performances. Featured festivities include The Nutcracker, Celebrate…it’s Christmas along with a Christmas Makers Market, and a bundle of favourite Christmas films, carols and crafts. For a magical white Christmas, the Victorian State Ballet will charm audiences with The Nutcracker on Friday 23 November, 7.30pm. 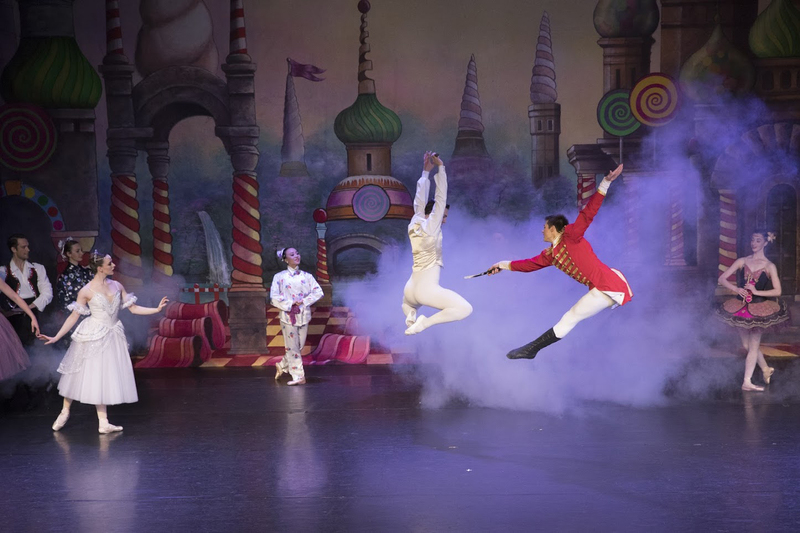 With dazzling snow scenes, a picturesque Christmas tree and plenty of (secret) party surprises, audiences will be filled with the festive spirit as Clara ventures into the Nutcracker’s enchanted world. With a breathtaking musical score by Tchaikovsky and a captivating classical ballet, this Christmas treat also includes a meet & greet with the cast after the performance, with photo opportunities, program signing and pointe shoe giveaways by the principal dancer. Tickets: Adult $65. Senior or Pensioner $55. Youth 17 – 24 years $39. Children under 17 $29. For fabulous gift ideas away from the crowds, the Christmas Makers Market will be the perfect spot to shop, on Saturday 1 December, 4.00pm. Hosted by Mermaid Sorority, with over 40 bespoke market brands, live music, festive food trucks and free craft activities, there’s plenty to keep the whole family entertained. To top off the night, Bunjil Place Plaza will light up at 8.00pm with their much awaited sparkling bright Christmas tree and beautiful nativity scene. Christmas carol lovers needn’t look far with Celebrate It’s Christmas taking to the stage for Daytime Music Theatre on Friday 7 December, 11.00am. Featuring Australian musical theatre stars Ian Stenlake, Michelle Fitzmaurice and David Cameron, this concert offers up some shameless fun with traditional Christmas carols blended with contemporary Christmas songs and a lot of laughs. Tickets: $20. Group 10+ $18. Includes complimentary morning tea from 10am.